 1/2 month free on 1 bedrooms! Up to 1 month free on 2 bedrooms! 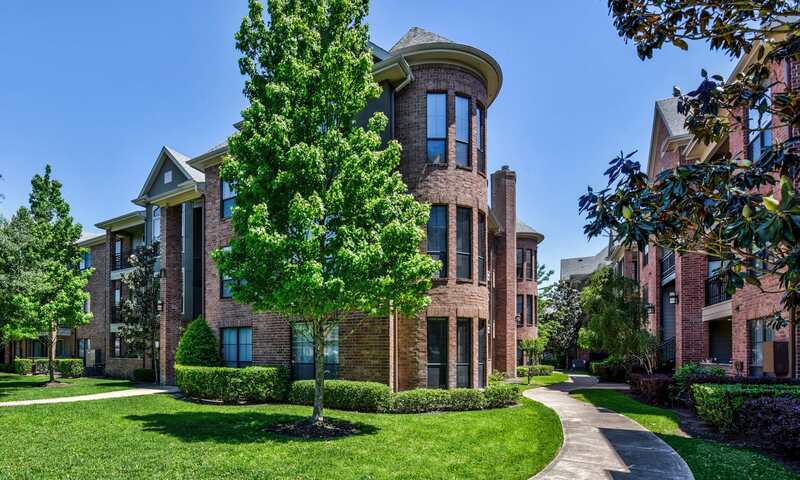 If you’re ready for an apartment upgrade, choose San Paloma Apartments in Houston, TX. Our spacious one and two bedroom apartments are designed with an open-concept layout to create an easy flow between rooms and spaces. Enjoy the modern finishes like sleek wood-style flooring and relaxing extras like the large soaking tubs and your own private patio or balcony. The luxuries don’t end inside your home. 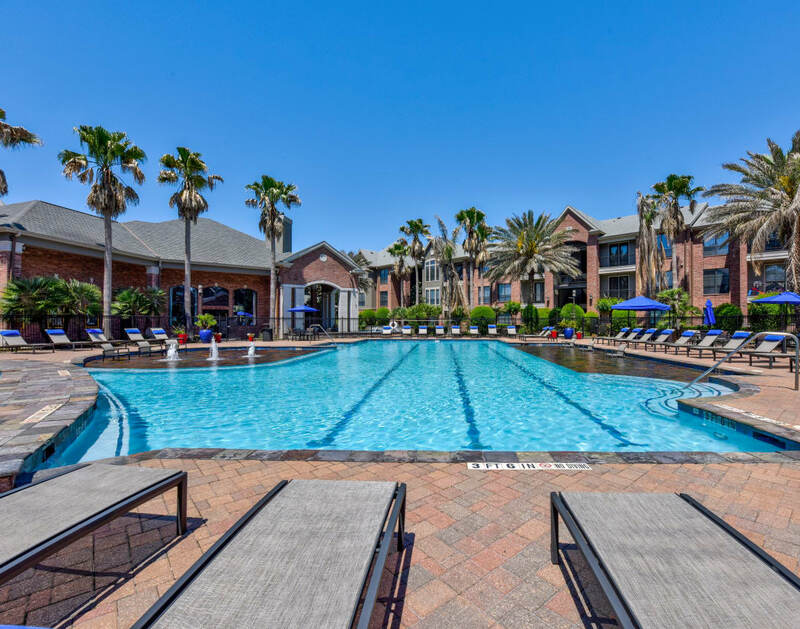 Our community amenities include an Olympic-sized swimming pool, a resident health club, and an outdoor kitchen. You’ll also find an onsite dog park perfect for after-work play sessions with your favorite pup because, at San Paloma Apartments, we know that pets are part of the family. Come be part of the good life at San Paloma Apartments. 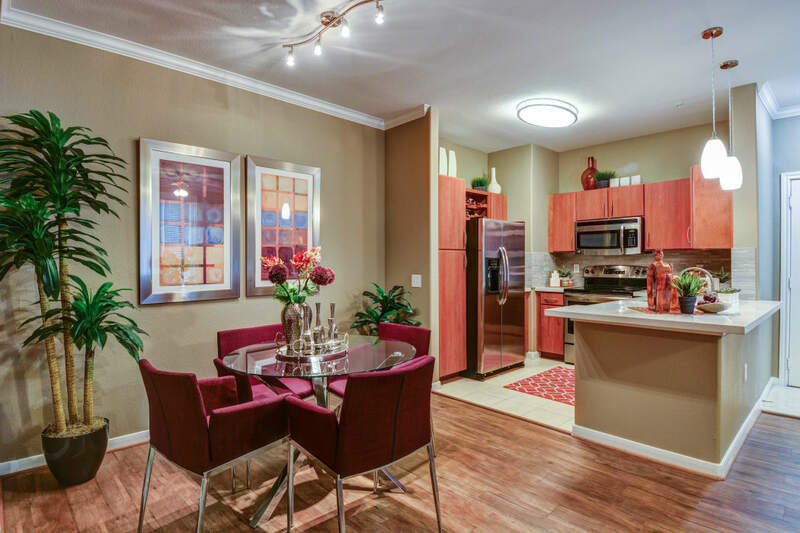 The pet-friendly one and two bedroom apartments at San Paloma Apartments have it all. Incredibly spacious layouts are just the beginning of the perks you’ll find in every apartment. Vaulted ceilings, available in select homes, invite you in to a modern, open-concept floor plan. 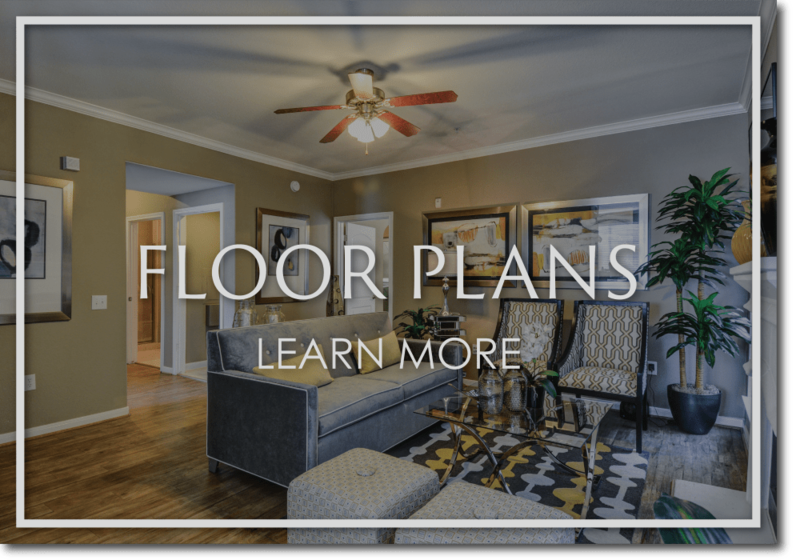 In addition to well-thought-out layouts, you’ll find high-end finishes like granite and quartz countertops in select units, wood-style flooring, and garden-style soaking tubs. There’s a lot to love about our one and two bedroom apartments. 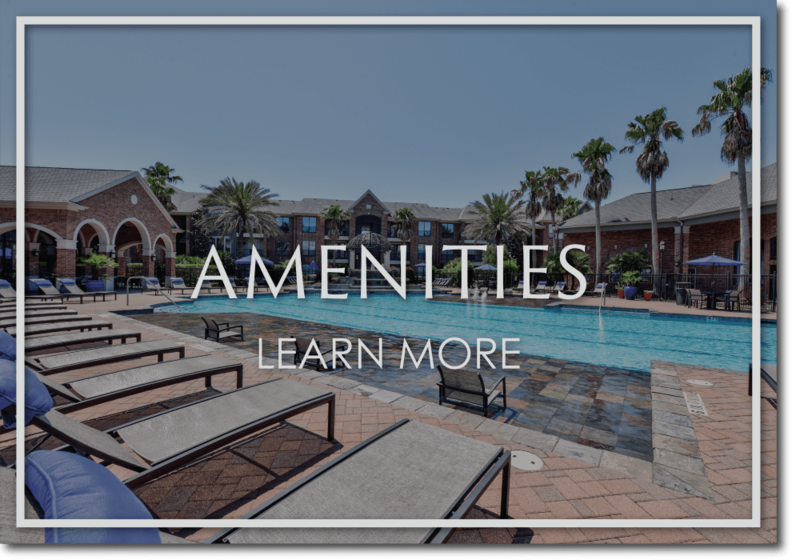 Check out our amenities page to see the complete list of in-home features. 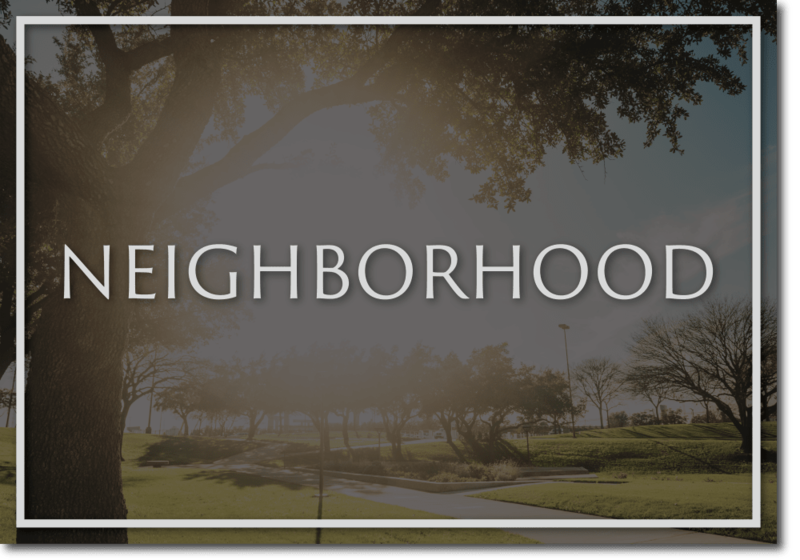 If you’re looking for a location that puts you close to everything, you’ve found the right spot in Houston’s Energy Corridor District. 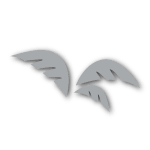 Cut down your commute time thanks to our location close to major employers, or better yet, take advantage of the designated biking lanes and public transportation options for a green commute. With over 26,000 acres of green space, great restaurants, and shopping, it’s easy to find home at San Paloma Apartments in Houston, TX. When it comes to luxury, we’ve gone the extra mile. 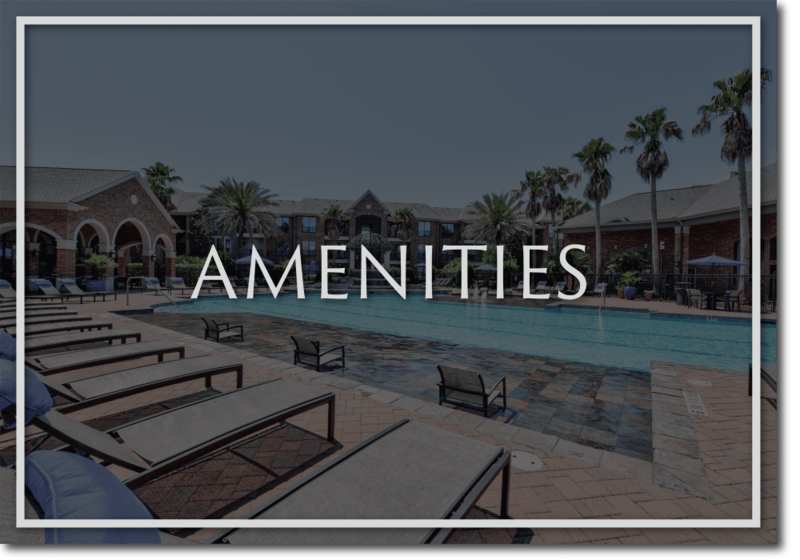 At San Paloma Apartments, you’ll have access to great amenities that help you make the most of every day. Go for a morning workout at the resident health club. Relax poolside in the cabanas, or throw down your best barbecue game with friends in the outdoor kitchen and grilling station. Everyday enjoyment is built into the program at San Paloma Apartments. Contact our leasing team today if you’re ready for a personalized tour of San Paloma Apartments. Make The Move To Luxury. Choose San Paloma Apartments.